“Traditional English Bridle Leather” is a term that can only be applied to leather produced in England by Jos Clayton Ltd and J&E Sedgwick Ltd, with over 175 years of experience in producing top quality performance leather for the equestrian trades. In processes both time and labor intensive, hides are gently tanned in pits and then dressed by hand to produce a leather with strength and durability to stand up to the heat of competition or the strain of working the fields season after season. This leather is tough. 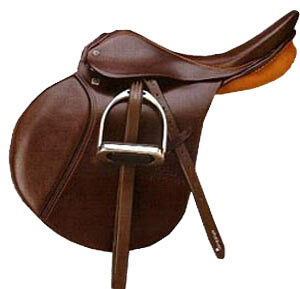 This leather is also world renowned for its aesthetic look, the liveliness of the leather, and its natural beauty. These attributes have proved equally appealing in the allied trades of leathergoods and shoes. For those parts of the saddle made of lighter weight leathers, we again look to English tanning expertise in offering leathers made by Pittards [link to Pittards site], another name recognized for leather of beauty and performance, not only in equestrian but also in leathergoods and shoes. 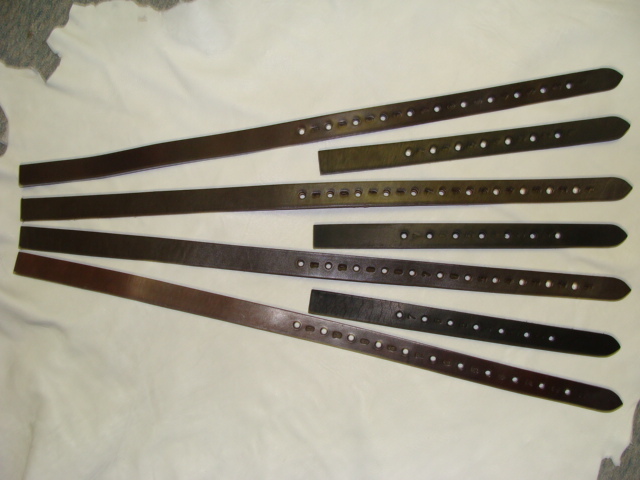 Chrome and Rawhide Billet leathers and precut billet straps 13" and 26"